Seeing this Courier Mail headline 20th February 1942, you can imagine his Brisbane based wife Myrtle’s extreme worry for the husband that she had last seen 25th January 1941. 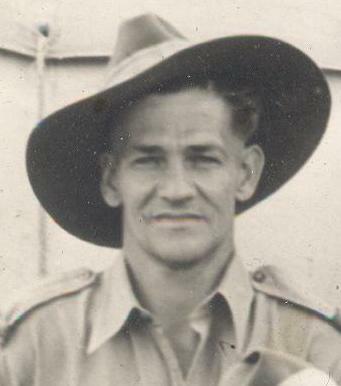 She knew he was with the 20th Platoon E Machine Gun Company 19th Battalion based in Parap, Darwin as he had been a regular correspondent. I don’t know how long she had to wait to receive this letter. Just a few lines to let you know that I am still OK. I heard that the mail will be going any old way now so am writing to you tonight just in case it goes tomorrow. By the time you receive this you will know we have had an air raid and because of it the mail will not run to time. It may go tonight or it may not go for a week or two. I did not like to send a telegram, as when you received it, you would have taken about six fits and I didn’t want that. So I think a letter would be much better for everybody. When the raid started we were out on a working party, we saw a lot of planes and before you could say ‘Jack Robinson’ we had disappeared and stayed hidden until all was over. What with A.A guns firing, bombs dropping and planes roaring all over the sky, the noise was like fifty trains blowing off steam and blowing their whistles all at once. After all the noise had gone and everything was quiet it was great fun talking about how we felt while the raid was on. Well, I for one had the wind up properly, but after it was over I was fine again but while it was on I hugged the ground pretty close. Then after, we came back to camp had a wash, had tea, we were told there was a free picture show on at the church army hut so what started as a bad day finished up all OK and as the saying goes, all’s well that ends well. I cannot say more than I have already said as we are not allowed to tell any rumours because you cannot say too much or too little after things like that. So Toots keep your chin up and do not believe any rumours down there. I and all my cobbers are all OK and still smiling. Above all don’t believe too much of what you read in the papers, because they have to sell their papers and they will print anything in them. Remember I am thinking of you as much as you are thinking of me. Cheerio darling until I write again and that will be as soon as possible. Hoping this finds you in the best of health as it finds me at the top at present. My Grandmother had had heart troubles which is one reason he was worried about the telegram as receiving a telegram in war time was a traumatic event. I am very lucky in that I inherited about 200 letters from my Grandfather written to my Grandmother during WW2. He was based in Darwin then New Guinea then Borneo. The censor was very active and a number of William’s letters have been carefully excised of information. A couple have had whole paragraphs removed. Information was scarce for the people involved in the action as well as the people at home. All news released to the newspapers had to be cleared by the censors. The bombing on the 19th was the start of over 60 attacks on Darwin (other areas in the North were also attacked) over 21 months. The actual casualty figures from the bombing were not released for quite a while (initially it was stated that only 17 people died) and even today there is discussion about what the total really was. Officially today 243 people were killed while some historians have estimated between 500-1000. My Grandfather always said many more people were killed than were officially reported. We are lucky today in our research as a lot more information is available to us. I have William’s service records, not that they give any detail of the bombing. I have downloaded the units diaries which are available online from the Australian War Memorial as PDF files, the below is the detail from the War Diary for the Unit for the 19th February. 2012 is the 70th Anniversary of the bombing and there is a lot going on. http://www.frontlineaustralia.com.au/ gives information about events and links to further information. A book has been published: ‘An Awkward Truth. The bombing of Darwin, Febuary 1942’ by Peter Grose gives a lot of detail particularly about the political decisions at the time. 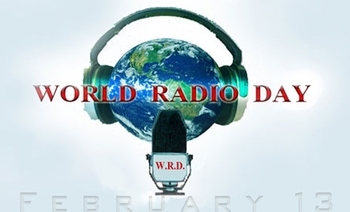 You read and hear so many stories of how families huddled around a radio for entertainment and listened to world events such as the declararation of war, and the all important cricket scores! My English great-great grandmother had bought a radio on a rental plan in the 1930s where she paid a weekly fee to a company which repaired the radio if there was a problem. Interestingly she kept paying this fee for about twenty-five years. The radio was showing great signs of age but the company kept fixing it until one day they gave it to her becasue it was costing too much to maintain and the weekly fee did not cover the cost. Apparently Alice was quite upset about this as she felt the company wasn’t keeping to their side of the bargain! This was a story my father, who emigrated to Australia in 1949 had told to me. In passing one day my mother, born 1940 in Brisbane, said to me that they didn’t have a radio at home until 1948. This seemed quite surprising to me as I knew that radios had become quite standard household items well before then. At this time my mother and her parents were living with her grandmother Violet Weeks, within the inner city Brisbane suburb of Red Hill. Then my mother explained that Violet was scared of electricity and would not agree to have it connected to her home even though it had been available in the area for around twenty years. She had gas heating and lights and they had a wind-up gramaphone for music and of course, you could not run a radio on gas! It is these stories we lose, when we don’t manage to speak with our families before we get totally caught up in the chase to find out about our distant ancestors. 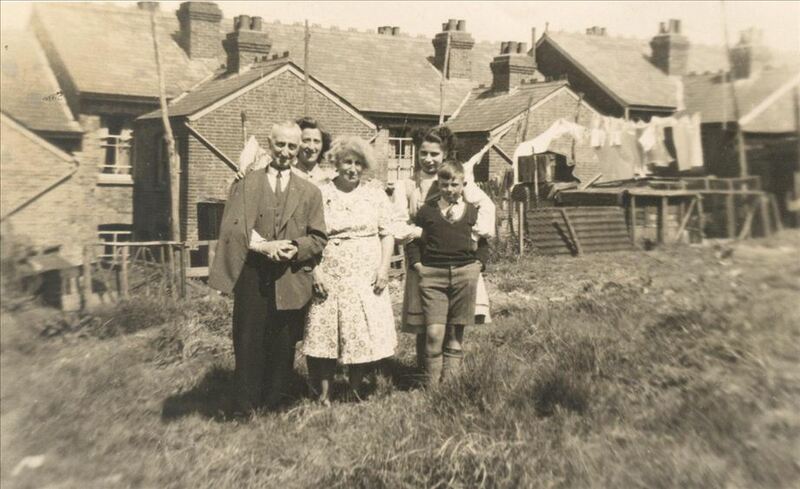 My Grandmother Lilian grew up in a two up, two down terrace home at 38 Baltic Road Tonbridge Kent. Her father Robert Henry Philpott worked on the South east & Chatham Railway, as did many people in town. Robert Henry was born 29 March 1877 in Hythe Kent. He married Alice Jane Lewis 23 December 1899 in Erith. They had thirteen children (although I can only find 12 so far) of whom my Grandmother Lilian was the middle child. Lilian lost her husband in WW2 and she and my father David, the young boy in this photo emigrated to Australian in 1949. Robert and Alice’s eldest daughter Florence married William Sumbling and they moved into 42 Baltic Road which was two doors down and there is still two of the Sumbling family living there today.